Oak Grove Cemetery was established in 1855 and designed by Josiah Brown, who is also known for his designs of early city mills including the Union, Borden City, and the now demolished Montaup Mill. Originally 47 acres and now over 100 acres, Oak Grove was inspired by Mt. Auburn Cemetery in Cambridge, Massachusetts. The original 47 acres of land was purchased by the city from Dr. Nathan Durfee at the high price of $200 an acre. The elevated site was chosen over less expensive parcels because of its central location and natural appropriateness for cemetery use and perhaps because of the importance of the owner. In return for the purchase of his land, Durfee agreed to buy a parcel between North Main St. and Highland Ave. which the city had originally acquired for a park. The new cemetery was located in the relatively undeveloped northeast section of the city. Oak Grove, Fall River’s largest city-owned cemetery, was developed in the mid-19th century as a rural garden cemetery, and its natural beauties and imposing monuments reflect the wealth and pride of the mill owners and the city’s elite buried here. The city’s principle families are buried here, the Bordens, Durfees, Braytons, Davols, Chaces, and other founding fathers who shaped Fall River’s industrial and civic growth. 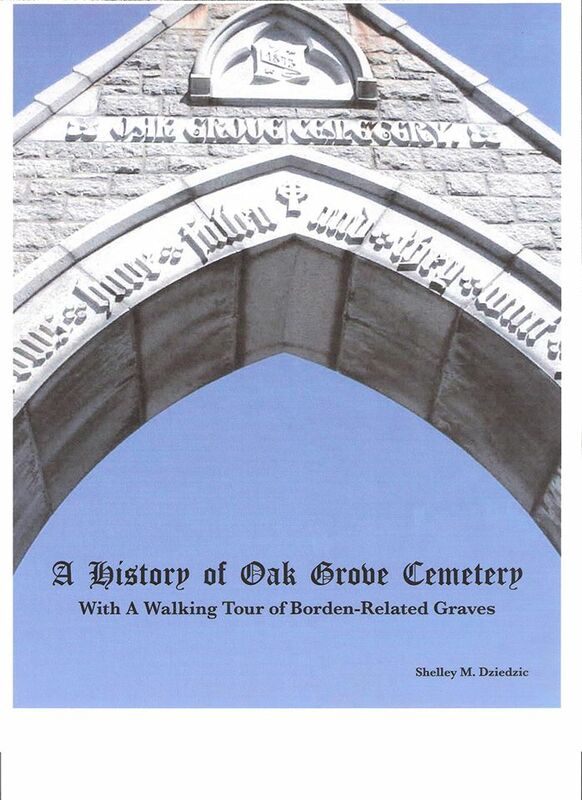 In 1866 Oak Grove became the final resting place for over 255 children in just one year. Available in mid-September 2014, the Revised edition.